Ferocity in which he loves- Master Alejandro wants his former submissive Angel back. He needs him, wants to possess him, and will do anything to get him back. Angel is his, will always be his one way or another. Angel’s new Master, Drake will not keep Alejandro from getting his possession back. Ferocity in which she wants revenge- Camila’s brother Conrad once served a Master named Dante. But this Master refused to be Conrad’s Master anymore. This just about destroyed Conrad, sending him into a downward spiral of drugs and alcohol until he finally tried to take his life. Camila watched Conrad suffer for years after Dante’s refusal to be his Master. Though now, Conrad has started to rebuild his life Camila can’t forgive the man who brought Conrad so much pain. She tricks Michael into sending her to serve Master Dante. She plans on hurting Dante, but first she must find out in what way would hurt him the most. 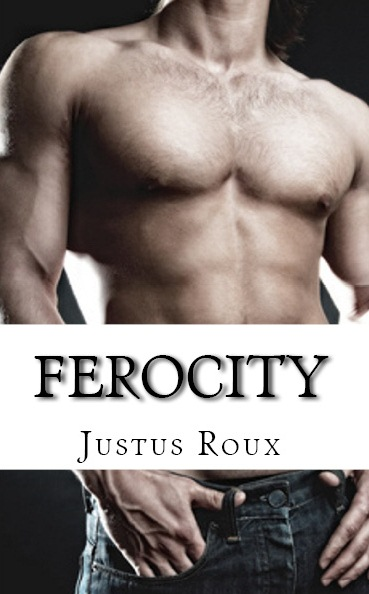 “Ferocity” is another exciting addition to Justus Roux’s Master Series.